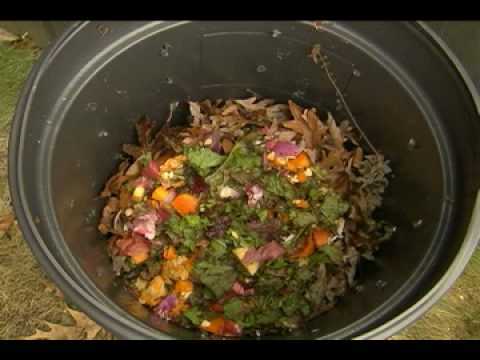 Composting is a key component to successful homesteading. 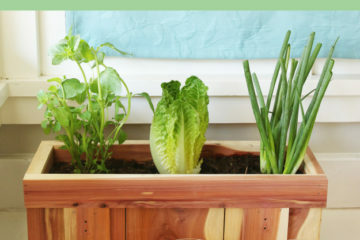 Think of all the daily kitchen scraps wasted! 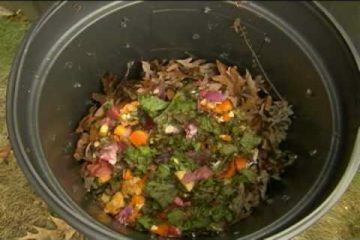 Start your composting bin to repurpose those scraps into your very own affordable – truly organic – fertilizer! There are many ways to go about this, but I’m all about simplicity, cost efficient and space savvy! After a bit of researching this is what I have chosen for starting my backyard gardening venture. To start out composting, purchase the most inexpensive 32 gallon or larger plastic garbage can you can find. Make sure it has a lid. Using a two to three-inch hole saw bit and a drill, drill holes all the way around the trash can (lid, bottom, and sides) six to twelve inches apart. Cover these holes with window screening. Good strong duct tape or epoxy will work also. Place hovered over bricks to allow for air flow. What do you put into your trash can composter? It is a good idea to add a shovelful of garden soil to your compost as well. The soil contains all kinds of microorganisms which will consume the contents of your compost and break it down. If you don’t have access to garden soil don’t worry too much, it will still work out. Make sure that your compost stays moist, but not wet. In general, your compost should feel like a wrung-out sponge. Any wetter than that, and it will start to smell because it has become anaerobic, meaning oxygen can’t get to parts of the pile. Keep your compost aerated. In a traditional pile, this is done by digging into the pile and turning the contents every week or two. You can aerate your trash can composter by simply laying it on its side and rolling it around a few times. You’ve spent a couple weeks building and producing some rich natural compost and now it’s time to use it! Compost is ready to use when it is dark, brown, and crumbly with an earthy odor. It would not be moldy and rotten. There is usually some life it in – earth worms and other insects. Finished compost can be used in a layer on top of your soil to nourish the plants underneath. You can also mulch it in if you choose, though water will carry nutrients down into the soil when just left on top – this is called top-dressing. You can top-dress a garden, a tree, even a lawn – just sprinkle it in! As your materials are decomposing, it goes through a heating and cooling process. During this process, the cooler the pile, the slower it will turn into compost. When first starting out, you shouldn’t re-add to your pile too often because new material will cool the pile down and will be behind the stuff that’s already “cooking”. It’s a good idea to have a good amount built up before expecting too much out of your bin. Once a pile is truly up and running though, it can easily absorb new material without necessarily being slowed down. Kitchen garbage, especially, which tends to be soft and fairly high in nitrogen, can be dug into the center of a hot pile where it will disappear within days without cooling and slowing down the current compost.